If the ferocity of this year's winter is any reminder, there's a reason millions of American and Canadian "snowbirds" head south each year for the winter months. Indeed, as Boston is literally buried in snow and other major cities are having some of their harshest wintry conditions in years, the Sun Belt has never looked better as a leisure and vacation home destination. At the very least, places like Florida and the Caribbean certainly look attractive as great locations to visit in the next month or two while much of America is still thawing out. Here's a collection of sun-drenched resort-style communities I would recommend on everybody's winter-to-do list. One of the world's most ambitious master-planned resort developments in years, the $3.5 billion Baha Mar gaming and golf resort, is scheduled to open March 27, 2015 along a beautiful 3,000-foot stretch of white sandy Bahamian beachfront. Featuring more than 200 residential units and 2,200 guest rooms spread across four hotels - Baha Mar Casino & Hotel, Rosewood at Baha Mar, Grand Hyatt at Baha Mar and SLS LUX at Baha Mar - the upscale Baha Mar ushers in a new era of chic Caribbean living just 10 minutes from Nassau's fully renovated and expanded international airport. "Baha Mar will open all hotels along with most amenities on March 27," said Baha Mar chief operating officer Paul V. Pusateri. "We are thrilled to welcome our first guests to the 'New Riviera' in time for the peak spring travel weeks." Besides Baha Mar's four luxurious hotels, the development features the Caribbean's largest casino, a 100,000-square-foot masterpiece with a full array of the latest slots and table games, an ESPA spa, numerous pools, beach experiences, restaurants and luxury shops. The property is also the newest home to the Jack Nicklaus-designed TPC at Baha Mar, a championship golf course that is part of the PGA Tour's elite Tournament Players Club or TPC Network. "We are very proud that TPC at Baha Mar is the newest property in the PGA Tour's prestigious TPC Network of resort and private golf courses," said Baha Mar chairman/chief executive officer Sarkis Izmirlian, whose resort was built and funded in part with the Chinese government. "We're committed to looking for the most extraordinary partners from around the world, whether it is at tee time or dinner time, to bring the best of the best to our guests at the new Bahamian Riviera." 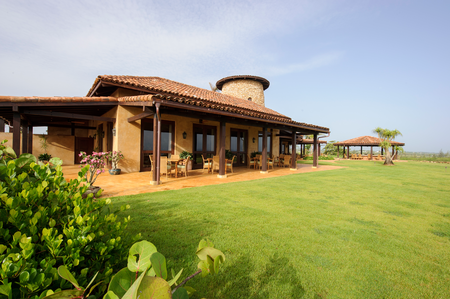 The addition of TPC at Baha Mar signifies the continued growth of the TPC brand, following the October 2014 opening of TPC Cartagena at Karibana, located in Caragena, Colombia. 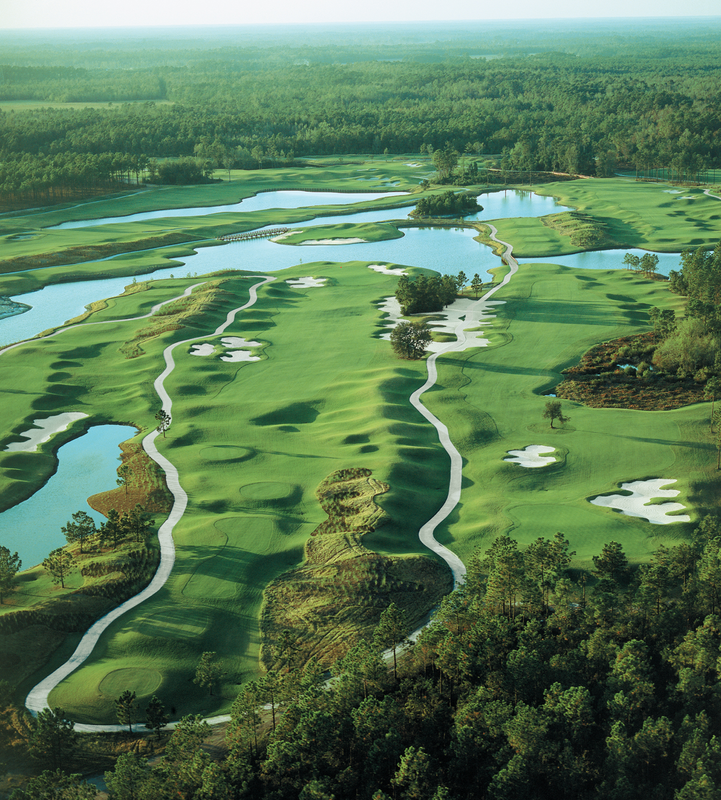 All of TPC's 33 premier properties have hosted or been designed to host PGA Tour events. 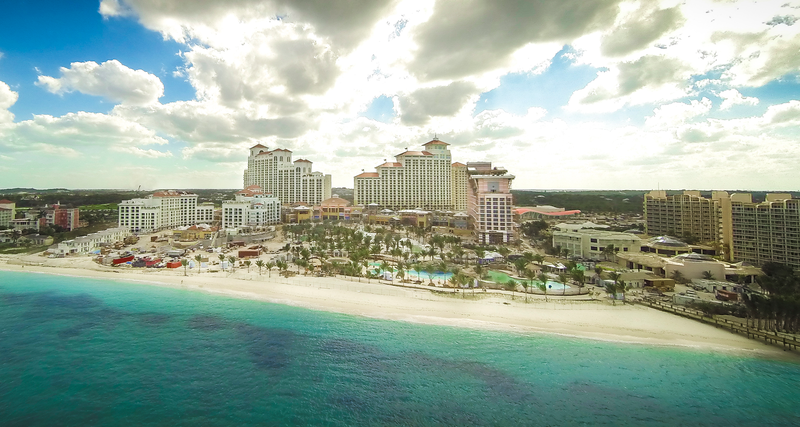 "A dream starts great endeavors, but it is only a beginning," said Baha Mar president Tom Dunlap about the resort's opening date announcement. "Baha Mar's vision will truly come to life once the first guests sleep in our hotels, dine at our restaurants, snorkel at our reef, lounge at our Cabana Club, play at our casino, dance in our clubs until dawn--and experience the true soul of The Bahamas with impeccable service and joyful hospitality. This dream has been years in the making, and on March 27, 2015, it will finally become a reality." For those seeking a permanent place in the Bahamian sun, Baha Mar offers a variety of residential real estate opportunities. Among the choices are 92 Rosewood Residences at Baha Mar priced from $1.9 million to $12 million for 1-, 2- and 3-bedroom homes as large as 6,071 square feet with terraces offering unmatched views of the Caribbean Sea. SLS LUX at Baha Mar features an additional 107 distinctive 1-, 2- and 3-bedroom residences priced from $1.2 million for homes ranging in size from 829 square feet to nearly 3,000 square feet, and Grand Hyatt at Baha Mar is selling 1-, 2- and 3-bedroom residences priced from $1.1 million to $12 million for homes as large as 2,583 square feet. Another compelling Caribbean development is Royal Isabela, an exclusive oceanfront golf and country club situated within the private Costa Isabela community in the municipality of Isabela. Costa Isabela encompasses some 1,800 pristine acres, including 3.5 miles of Atlantic oceanfront and nearly five miles of Guajataca River basin. Rich with scenic beauty, diversity of terrain and natural resources, Royal Isabella boasts an ideal Caribbean climate just 10 miles from Rafael Hernández Airport in Aquadilla and 72 miles from Luis Muñoz Marín International Airport in San Juan. Among the first-class amenities at Royal Isabella: a spectacular oceanfront 18-hole golf course designed by David W. Pfaff, private beach access, hiking/biking trails and La Casa, which offers fine dining and twenty casita accommodations. An organic farm, garden and nursery are also located on property to support farm-to-table restaurant initiatives and experiences. 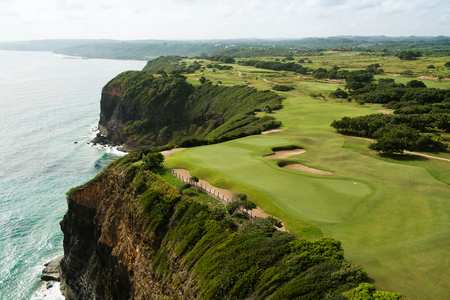 What's great about Royal Isabela is it truly represents one of the epic Caribbean locations, yet, it's officially part of the United States. Set on the cliffs overlooking the Atlantic Ocean, this private 426-acre golf resort community in northwestern Puerto Rico is designed with the utmost respect for the land, including large tracts of green space and beach acreage set aside for the enjoyment of members and guests, adherence to "dark-sky" initiative guidelines and other sustainable practices. Fairway Villas are harmoniously placed to maximize the property's awe-inspiring views of the golf course, ocean and rugged Royal Isabella cliffs that rise 150-350 feet above sea level. With temperatures hovering in the single digits in many places, Florida's Palm Beaches couldn't be a better place to be right now. 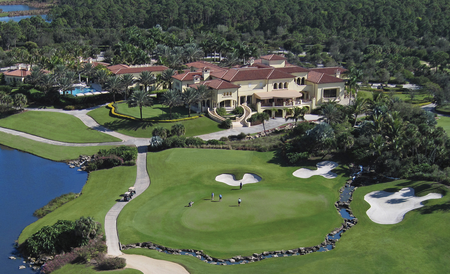 And one of the more luxurious private golf and country club developments is Old Palm. At Old Palm, access to an unparalleled private golf club lifestyle is clearly the driving force behind another year of record-breaking home and lot sales, according to director of sales Connie McGinnis. 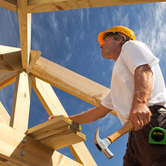 For instance, after experiencing record-breaking 2013 with 41 transactions for more than $91 million, doubling Old Palm's 2012 results, Old Palm's new Clarion Partners investment group was on target to exceed $100 million in home and lot sales for 2014 thanks to four new neighborhoods of homes being built in the $1.3 million to $15 million-plus range. "Unfortunately, we only have 55 homes left (to sell)," says McGinnis, who has worked at Old Palm dating back to the original developer and owner, WCI Communities. "I wish we had another 300." One area McGinnis would love to have more inventory is the Custom Estates neighborhood highlighted by 1-acre home sites. As one of the few private golf club communities in South Florida offering one-acre home sites, Custom Estate buyers have the rare opportunity to build the 7,000-to-20,000 square-foot home of their dreams. "Old Palm is one of the precious few places in the Palm Beaches where there are home sites large enough to accommodate residences of this magnitude," McGinnis adds. "Whatever the owner has in mind, no matter how imaginative or extravagant, it can be done at Old Palm." Several PGA Tour stars have bought into this Old Palm lifestyle, including English golfer Lee Westwood. Westwood and his family recently moved into a 10,000 square-foot house on the 14th fairway. 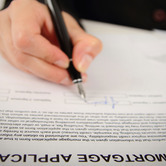 Fellow PGA Tour players from South Africa, 2011 Masters champion Charl Schwartzel and 2010 Open champ Louis Oosthuizen, are also new owners of Custom Estates property. Westwood, Schwartzel and Oosthuizen have each cited the Custom Estates' spacious home sites and views as primary reasons for selecting the exclusive neighborhood. Lots provide the size needed to build a home to meet their needs and each site backs up to nature preserves, which ensure privacy, or overlook the Raymond Floyd-designed golf course. Old Palm Golf Club is one of the premier private club communities in Florida with new estate homes ranging from $1.2 to more than $15 million. Situated in the heart of the community is a clubhouse with formal and informal dining, full-time concierge and attentive staff, fitness center and spa, resort-style pool with private cabanas, casitas for overnight guest accommodations, and other amenities. Ideally located in the heart of Palm Beach Gardens, Old Palm is close to an abundance of shopping, dining, entertainment and beaches. Palm Beach International Airport and North County General Aviation Airport (for private jets) are only minutes away. Old Palm is being developed by Clarion Partners, a leading real estate investment firm with over $25 billion in assets under management. The Florida Keys have long been popularized as a great place to escape. Especially in the winter. Ocean Reef Club, a private member-owned resort-style community on the northernmost tip of Key Largo, officially describes itself as having a "unique way of life." Indeed, any place with its own 4,456-foot lighted airstrip, 175-slip marina, 144-room oceanfront inn, 36 holes of championship golf, medical center and many more world-class amenities, is a place all too itself. To be sure, Ocean Reef is a far cry from 1945, when the exclusive community started out as a modest fishing camp and 26-room lodge. What makes family-friendly Ocean Reef Club as compelling as ever, however, is the club's ongoing success in growing its membership base and real estate sales volume. At a time when many private club communities were struggling to find firm footing in a fragile real estate market, Ocean Reef was not only surviving, but thriving. For instance, last December, the Marina Inn property at Ocean Reef was sold for $20 million in one of the largest commercial real estate transactions at the exclusive club. George Pino, president of State Street Realty, and William Dickinson, broker associate at Ocean Reef Club Real Estate Company, represented the buyer, Marina Inn Land. 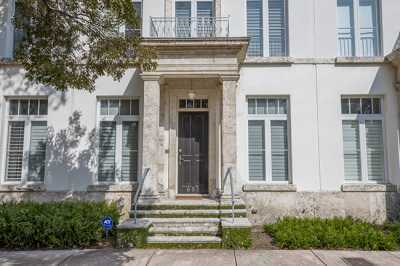 Russell Post Sotheby's International Realty represented the seller. According to the dealmakers, the buyer plans to redevelop the Marina Inn site with 30 new luxury condo units. The three-acre property includes 750 feet of waterfront and currently consists of eight large two-bedroom rental properties. Nestled on 2,500 secluded acres, Ocean Reef is comprised of approximately 1,700 waterfront estates, private homes, condominiums and boat slips with one realtor's listings starting at $750,000 for a 2-bedroom, 2-bathroom condominium home to $15 million for a 1.25-acre oceanfront tear-down lot. What makes the proposed new Marina condos so promising is Ocean Reef is one of the few marinas in the country able to accommodate mega-yachts up to 165 feet in length, while also offering the privacy and security of a private club. Back in 2009, Post sold one of the few mega-yacht slips for $4 million, doubling the previous high paid for a similar Ocean Reef slip. Ideally located near the Gulf Stream and North America's only living coral reef, the club's surrounding waters offer superior deep-sea, reef, flats and back-country fishing, in addition to great diving, snorkeling, sea kayaking, and windsurfing, with easy access to the Bahamas and Caribbean. Simply put, Ocean Reef is a yachtsman's paradise, which is one reason Post "dropped anchor permanently" at Ocean Reef in 1973 and later served as the club's president and president/ director of the Ocean Reef Community Association from 1980-1992. Since its founding in 1946, Ocean Reef Club has attracted a long and illustrious list of members who appreciate the club's family atmosphere rich with time-honored traditions such as children being able to get their "golf cart license" at age 12 or the New Year's Eve party where hundreds of revelers celebrate until the wee hours under the beachside fireworks. 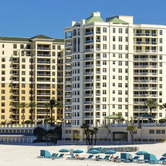 Ocean Reef's unique lifestyle sets it apart from other private clubs. The quality of life is enhanced by all the amenities of a small, but sophisticated town, including its modern medical center with doctors on call 24 hours a day, a public safety department, bank, grocery market, and a community center with a library and theater. 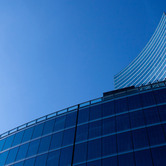 Members and guests never have to leave, and with 24-hour security, they never have to worry either. As Post puts it, "There is nowhere else in the world that offers the Ocean Reef lifestyle." Thistle Golf Club & Estates, Sunset Beach, N.C.
Sunsets and the beach. A combination many snow-bound North Americans would gladly take right now given the opportunity. At Thistle Golf Club & Estates, members and residents get to live with this sunny equation every day because it comes with the address. Located just across the state line from Myrtle Beach, S.C., this upscale semi-private golf and country club community is one of the more unique properties situated along the highly regarded Grand Strand. This is evident the moment you get to the development's main mahogany guard shack. After passing thru front entrance, you drive up a scenic, tree-lined road lined with cobblestone insets and wonderful wildflowers and other colorful landscaping, including purplish plume that grows on Scottish hillsides from which the club - and the original Thistle Golf Club in Scotland - takes its name. 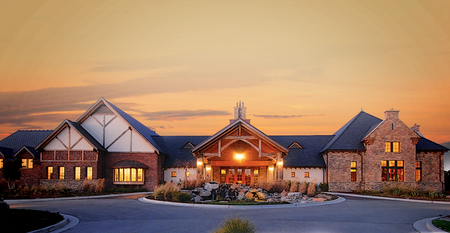 After driving by 27 beautifully groomed and designed golf holes, the main road winds up at the club's striking 15,000-square-foot Scottish castle-like clubhouse. Inside, you find yourself immersed in Old World charm, whether it be the imported mahogany counters inside the pro shop or pub that date to 19th century England to the many historic golf artifacts and seven fireplaces. "It's not only a round of golf, it's an experience," says general manager Jamie Roderick. "From the moment you drive onto the property and enter the clubhouse, you get this whole initial, 'wow.' And then you get out to the golf course and it's even more amazing." If it's possible, Thistle Golf Club has gotten better, now that the club's new owners and operators, developer Bill Haberman and partners from Integrity Golf Company, have infused the property with newfound capital and vision. For example, the new owners built a new $1 million amenity center that is scheduled to open within the next couple months and completed some necessary infrastructure around the development. The 3,800-square-foot recreational facility features an outdoor pool and kitchen area, spa, hot tubs, fitness center and exercise room. Meanwhile, the low-density 409-acre development is celebrating a new round of real estate releases along with the soon-to-be opening Southern Living Custom Builder Program Showcase Home. This 3,937-square-foot home is being built by Whitney Blair Custom Homes as part of the Easter 2015 showcase sponsored by Southern Living magazine. According to Haberman, Thistle only calls for 143 estate lots ranging in price from $125,000 to $300,000. 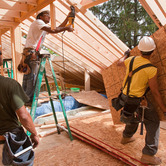 Custom homes range from the mid-$400,000s to $1 million.